We love books at our home as most families probably do. We can never get enough of them and there is always a new book we want to read. I often share a photo on my FB page of books we have and love. 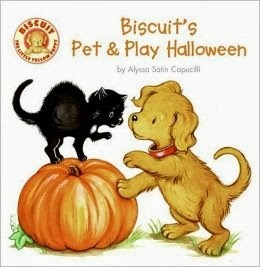 Today I am going to share a post with you of some fun Halloween books that my 1yr, 3yr, and 5.5yr old love. Maybe you can find a new book to check out with the kids. If you and the kids have a favorite holiday book please feel free to leave it in the comment section below. Book descriptions are from authors via amazon. 1. 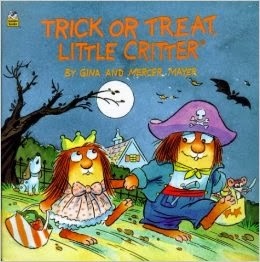 Little Critter: Happy Halloween, Little Critter! It’s Halloween! Little Critter and Little Sister are going to a spooky party at a haunted house. Bobbing for apples and playing Pin the Broom on the Witch are fun—but what kinds of monsters, mummies, and skeletons are lurking in the shadows? Pull back the big flaps to find out! Through his beloved illustrated character, Little Critter, Mercer Mayer, author and illustrater, has become a household name representing quality childrenÍs books that address the major issues of childhood through humorous storytelling. 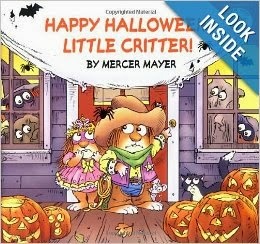 The Little Critter title, Trick or Treat is a great Halloween treat for any child. Colorful illustrations will delight children of all ages. It’s Halloween in LEGO(R) City! 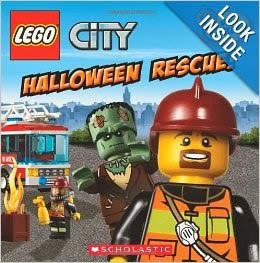 The fun never stops in LEGO(R) City–especially not at the fire station’s Halloween Party! But when a fire threatens an abandoned home, will it be the ghosts and ghouls who help the fire department to save the day? Halloween is full of fun and surprises when there are more than 40 flaps to open. Interactive activities throughout enforce early learning concepts—colors, counting, and more! 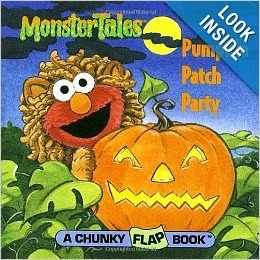 Halloween is full of fun and surprises when there are more than 40 flaps to open! Come along with Eddie and his friends as they make Jack-o-lanterns, march in a costume parade, and trick-or-treat under a spooky full moon. Who is dressed as a princess? Who is hiding in the jack-o-lantern? Kids lift the flaps to discover the answer. Interactive activities throughout enforce early learning concepts—colors, counting, and more! Pete loves Halloween and candy but not so much scary surprises. Follow Pete as he goes trick-or-treating from house to house and discover what is waiting behind each door. With over ten flaps that open to reveal fun spooky surprises, this book is spooktacular! The soft padded covers, rounded corners and sturdy board pages make this title a perfect fit for preschoolers! 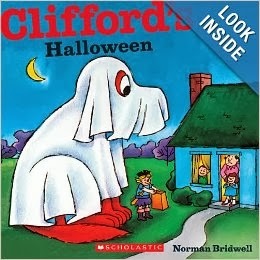 Out of all the holidays, Emily Elizabeth and Clifford like Halloween the most. They play games, trick-or-treat in the neighborhood, and tell ghost stories. Best of all, they can wear costumes! Clown, witch, knight, or ghost–what will Clifford decide to dress up as this year? 9. 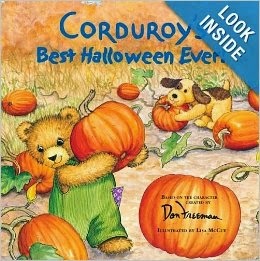 Corduroy’s Best Halloween Ever! Halloween is almost here, and Corduroy can’t wait! He is going to have a party. He and his friends will carve a jack-o’-lantern, bob for apples, and go trick-or-treating! But there is one problem-Corduroy needs to choose a costume. What will he wear? 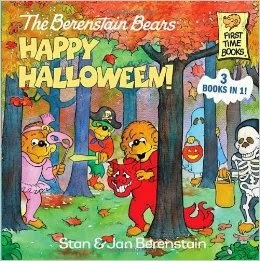 It’s the best Halloween treat ever—a collection of three Berenstain Bears Halloween books in one! 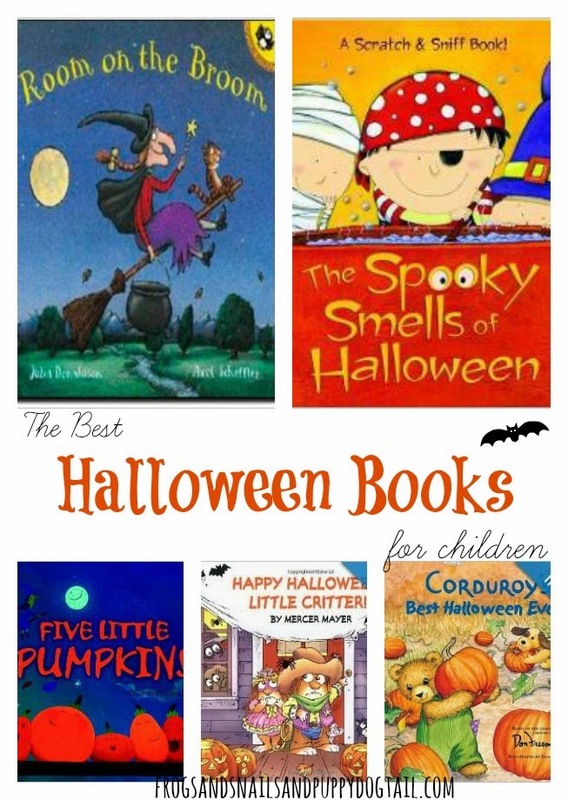 Included are The Berenstain Bears Trick or Treat, The Berenstain Bears and the Ghost of the Forest,and The Berenstain Bears and the Prize Pumpkin, sweet and spooky tales that are the perfect ingredients for a whole lot of Halloween reading fun! What could be more fun than a party on Halloween night with the Sesame Street gang? 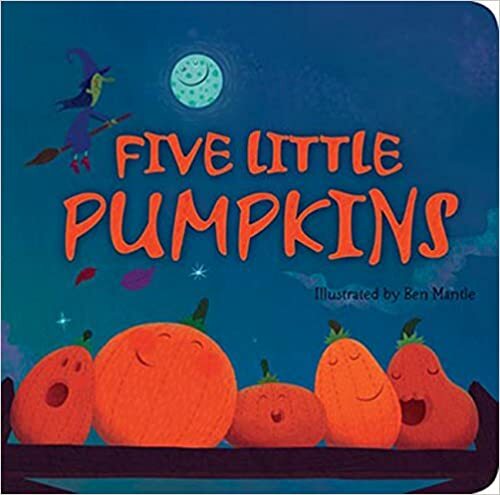 Toddlers can lift the flaps to see what suprises the pumpkim patch holds – a dancing scarecrow, a spooky moon, and a ghost with a strong resemblance to … Big Bird! Little Sammy and his friends are having one spooky Halloween! They bob for apples, eat scary shaped Halloween cookies, and go trick-or-treating for other spooky treats. Children will love to read—and smell—all The Spooky Smells of Halloween. 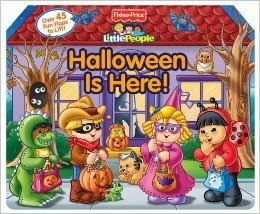 The New York Times bestselling Halloween picture book is now a board book! This rollicking, rhyming tale from master storyteller Julia Donaldson is the perfect Halloween read-aloud for the youngest listeners. A friendly witch, hungry dragon, and muddy monster learn about friendship, and readers will delight in the surprising (and not too scary) ending. 15. There Was an Old Lady Who Swallowed a Bat! This spooky twist on the wildly popular “There Was an Old Lady who Swallowed a Fly” is perfect for fun Halloween reading! What won’t this old lady swallow? This time around, a bat, an owl, a cat, a ghost, a goblin, some bones, and a wizard are all on the menu! This Halloween-themed twist on the classic “little old lady” books will delight and entertain all brave readers who dare to read it!